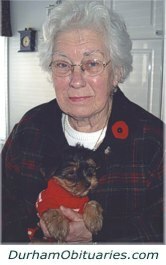 MARSHALL, Kathleen Stewart - Passed away peacefully at Fosterbrook Nursing Home in Newcastle on Monday October 23, 2017 at the age of 89. Beloved wife of the late Graham. Caring mother of Robert (Carol), and the late Sharon French. Mother-in-law to Ray French. Loving grandmother to Marshall, Amber (Jeff), Robert (Patricia), Doug (Helen), and great grandmother to Aiden, Aaron, Eden, Izzy, Cody, Emily, Liam, Kyle and Hannah. 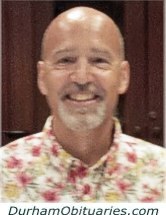 Surrounded by his family, Derek Ralph VanBuskirk, 57, died peacefully at his home in Whitby, Ontario on Monday, October 23rd, 2017 after a courageous battle with cancer. He leaves his wife of 17 years, Patricia (Machado); his children, Sean Craswell (Shelley), Olivia and William VanBuskirk, grandchildren Zachary and Declan Craswell, siblings Cheryl Sackville (James), Kevin (Kim) and William (Betty) VanBuskirk. 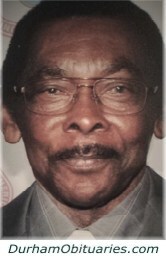 Beloved Uncle ‘D’ to Sarah (Roel), Michael, Jessie, Katie, Julie, Moses, Daniel, Thomas, John, Michael, Ryan and Maya. PERKINS, Rosemary (nee Fenton Coulter) - Passed away on her birthday, October 23, 2017. Loving wife of Don Perkins. Mother of Ken Poynter (Barb) and Paul Bunner. 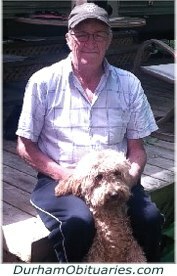 THOMPSON, Lansford - On Monday, October 23, 2017, Lansford George Thompson, passed away at Scarborough General Hospital after a lengthy illness at the age of 77. He was born January 3, 1940 in May Pen Clarendon, Jamaica and later moved to England in 1959 before migrating to Canada in 1964. George made Pickering, Ontario his home for over the past 50 years where he lived a full, happy and prosperous life. He will lovingly be remembered by his wife Iris Hyacinth Thompson. DICKEY, Ocena - October 23, 2017 our mother and grandma with family by her side, in her 90th year, was reunited in heaven with her husband and best friend Samuel James Dickey. Loving mother of Darla (Richard Reis), Sherri (John Sheldon), and Jamie. 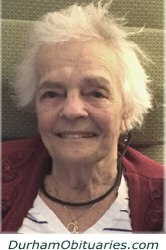 Passed away after a courageous battle on October 22, 2017 at the Sunnybrook Hospital Palliative Care Unit. Cherished father to Tania and her husband Selwyn, Tracey and Lisa. Proud grandpa to Madisynne, Nyles, Kaymen, Jason, and Andrew, James, Ayla, Arthur and Macey. Beloved brother to Leonard, Emil, Rosie, Careen, Betty and predeceased by brothers Ernest, Raymond, Lionel, Everette and sister Lena. He will be missed by his best friend and companion Kaycee, his extended family and friends. VANWART, Elgin “Al” Benson – (W.W. II Veteran – retired 37 year employee of TTC, member of Unity Lodge # 606, Murray Lodge # 408, Beaver Shrine Club and Orillia Shrine Club, Royal Canadian Legion Branch # 135, Beaverton) on Sunday, October 22, 2017. 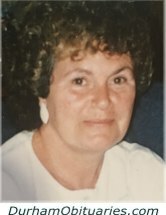 HOLMES, Susan (nee Hanna) - Passed away surrounded by the love of her family at the Village of Taunton Mills on October 22nd 2017 at the age of 84. Beloved wife of the late James Holmes (2015). Loved and loving mom to Colleen Gill (Ken) and the late Patricia McMorran (2011). Cherished grandma of Greg, Ashley and Jennifer (Kevin). Adoring great-grandma of Gryson, Wyatt, Lily and Michaella. Susan is pre-deceased by her sister Isabel Hanna (2017) and is survived by her brother and law Jack as well as her sisters-in-law Peggy and Nora (Roy). Passed peacefully at Scarborough Centenary Hospital on Sunday, October 22nd, 2017 in his 96th year. Predeceased by his wife Evelyn, 2012. Loving father of sons Barry, Darryl (Irene), and daughters Tana and Cori. Poppa to Kim, Brian (Toni), Derrik (Maryam), Damian (Stephanie), Jason (Krista), and Nicole (Nathan). Great grandfather of James, Matthew, Alex, Benjamin, Jilly, Veronica, Vincent, Lucy, Adelaide, Paisley, Laiklan, Everett, Alexia, Julian, and Aiden. EDWARDS, George - Passed away on the morning of Sunday, October 22nd, 2017 at the age of 82. Loving father of Judy (Gus), Tracy (Seb) and Diana. READ, Paula Diane (née Cameron) - Peacefully at Lakeridge Health Oshawa with family by her side on Sunday, October 22, 2017, at the age of 58. Treasured mom of Pam and her husband Tim Nykolaichuk and Cam. 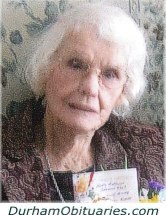 LEPKEY, Beatrice Violet (nee Newbigging) - Passed away peacefully at Hillsdale Estates on Sunday, October 22nd at the age of 96. Beatrice was born on September 30, 1921 in Buckinghamshire, England. After WWII, Beatrice married Edmund Lepkey then a Canadian soldier and immigrated to Canada as a War Bride in 1945, leaving behind her parents Bertram and Edith, sisters, Janet, Edith and brother Robert – all now deceased. Bea and Ed made their home in what was then Langstaff, (now Thornhill) where they had four children Gayheart, Ruth, Tearle and Lloyd. STEVER, Daniel Joseph - Constable with the O.P.P. Passed away peacefully at home on Sunday October 22, 2017, at the age of 48. Beloved husband and best friend of Kim for over 25 years. Loving father of Harrison & Jordan. Dear son of Pete & Donna. Cherished brother of Jamie (Krista), Carol and Angela. Much loved son-in-law of Sandra & the late Garry Eason. Brother–in-law of Brad Eason (Jodi Martel). DOUMA, Adrie Grace - On the morning of Sunday October 22, 2017, the Douma family welcomed their precious baby girl, Adrie Grace, at 5:19 am. 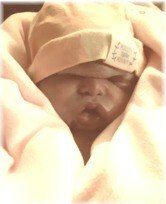 They were blessed with just over an hour with her before she was taken home to be with her Heavenly Father. She was able to be loved on by her parents, her big brother and her grandparents before peacefully going home. Beloved daughter of James and Jenn (nee Heeringa), and little sister of Mason. Peacefully surrounded by his family at Lakeridge Health Oshawa on October 21st, 2017 at the age of 79. Predeceased by his wife Beverley (2006), and brother Paul Rousseau (2012). Loving father to Rob (Cathie) and Leanne McCarthy. TAYLOR, Karen Eileen - Karen Eileen Taylor died peacefully at home on Saturday, October 21, 2017. WHITE, Ida Emily - It is with heavy hearts that we announce the sudden passing of Ida Emily White, peacefully, surrounded by her family at Lakeridge Health Oshawa on Saturday, October 21, 2017 at age 86. Beloved wife of the late George Robert White (March 14, 1998). Loving partner of Jack Lusty. Loving mother of Sandra Storm (Don Stevenson) and Sue (Bruce Watson). Proud Nanny of Alesha, Shane, Jennifer, Bradley, Cameron and Marc. Dear sister of Terri, Barbara (Mario) and the late Harold. KELLY, Maree - Passed away suddenly at home, on Saturday, October 21st, 2017 at the age of 71. Maree was the beloved wife of Jim and loving mother of Dervla, Brian, and Orla. HIRTLE, Raymond Hirtle - Peacefully, on Saturday, October 21, 2017, at home in Newcastle, at age 74. Raymond, beloved husband of the late Marilyn (nee Arsenault) of Oshawa and formerly of Charleston, NS.